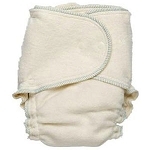 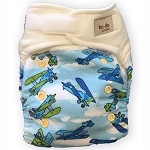 The fine knitting gives the nappy a comfortable elasticity so that it fits snugly. 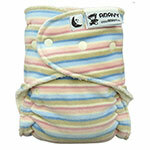 The baby is not restricted, but wrapped gently with plenty of room to wriggle. 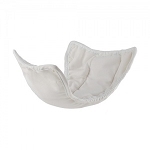 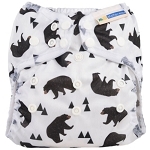 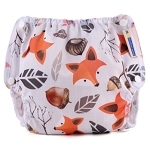 Due to the shape and adjustability by folding this will fit from newborn to toddlers, just add more absorbancy as your little grows from a insert to a pad folded prefold.